Let’s start strong: send a personalized postcard that shows the homeowner the value of their property. Seeing the actual dollar value will pique the interest of the homeowners and get you the leads you need. The best card for this scenario is our “Jumbo Sized Home Estimate - Map 01.” There's a reason it's listed as 01. This best-selling postcard features a large custom map of a prospect's neighborhood. It also has a very clear call to action. Prospects enter a personal key code at www.RealEstateHomePrice.com to view their custom estimate. As our most popular postcard, it is a great first card for new agents or new farms. 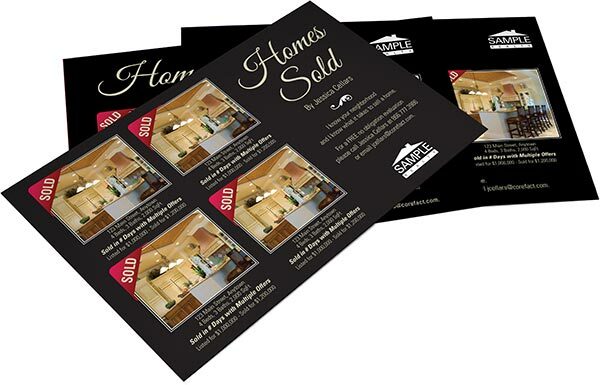 Any of the other Home Estimate postcards are also very effective in building a solid client base from the ground up. We suggest looking into the Hot Market and Market Trends postcards. You’ve finally tackled that listing and got it up on a MLS. Now what? 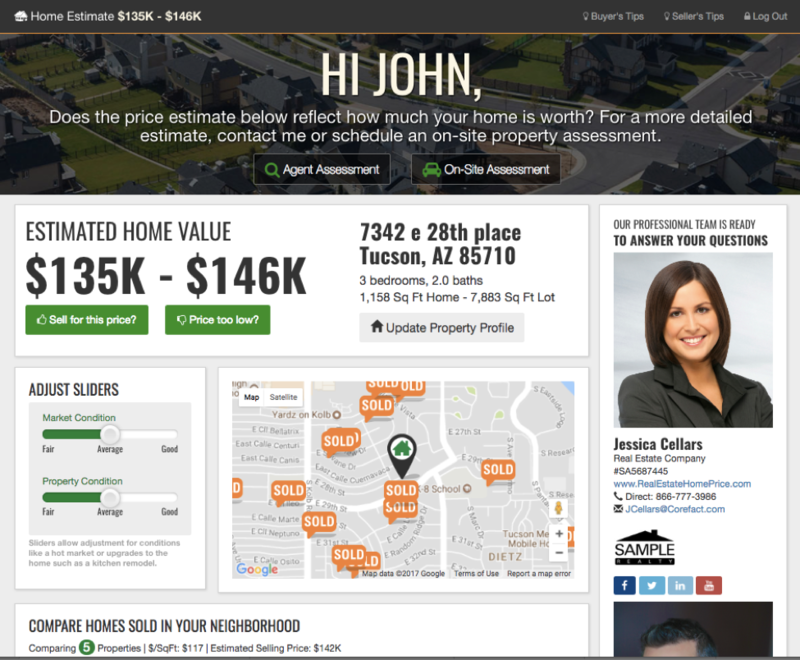 Show prospects every facet of the listing and neighborhood using ListAssist. ListAssist allows you to simultaneously launch your listing on digital and print platforms. Enter your listing information just once, then select the type of promotions you would like to use: we've got Single Property Website, Postcards, Flyers, Door Hangers, and Property Flyer Signs. 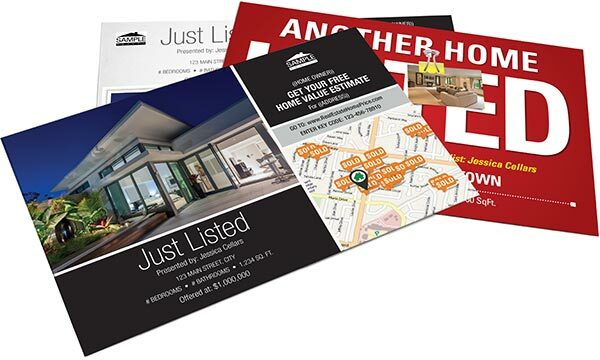 ListAssist offers a variety of cohesive designs to really make your listing pop. When it comes to branding yourself, consistency is key. With the right combination of postcards sent at the right time, you can build strong brand recognition within your farm. Set your marketing campaign on auto-pilot using Corefact Elite, a customized, strategic, year-long campaign. We have selected the absolute best cards with the highest response rates. After your marketing consultation with the Corefact Success Team, you can just set it and forget it. Your postcards will be automatically sent every month and you will automatically receive notifications from your leads. Let’s show everyone you're the expert of the neighborhood. Start by showing off your achievements in the neighborhood: display your successful sales all on one Proof of Production postcard. If you don’t currently have any listings to share, educate your prospects on current market conditions and share expert real estate tips. A Market Update postcard will automatically populate an up-to-date market analysis of the homeowner’s neighborhood and show your familiarity with the latest market trends in your farm. Educate prospects using our Local Expert series postcards. Whether homeowners are already thinking about selling their homes or not, having helpful, up-to-date real estate tips in hand can convert homeowners to home sellers. How Does Corefact Generate Leads? Learn how Corefact helps generate leads, and where you can manage them.